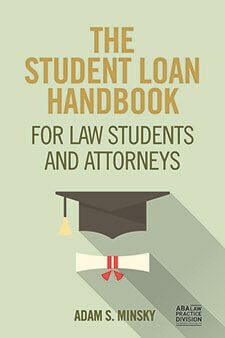 Share the post "The “Death and Bankruptcy Clause” In Private Student Loan Contracts"
If you’re a follower of this blog, then you already know that I’m not a big fan of private student loans. They just stink. They tend to have higher interest rates and stricter repayment terms compared to their federal counterparts, and federal programs such as consolidation and Income-Based Repayment are not available. 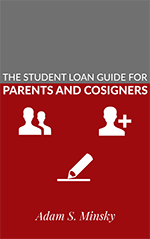 Private student loans often require a co-signer, something I’m also not a huge fan of because many people don’t realize that the co-signer is just as legally responsible for the loan as the borrower. 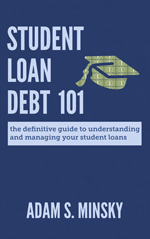 Like federal student loans, private student loans typically cannot be discharged in bankruptcy (although it is not impossible). Want to know my absolute least favorite thing about private student loans? Many (although not all) private student loans have this tiny little clause, often hidden away in the obscure depths of the promissory note (the loan contract that you signed, but probably didn’t read, when you first got the loan). The clause basically says the following (and I’m paraphrasing here): If the co-signer or the borrower dies or declares bankruptcy, the entire balance of the loan will be come due immediately. And of course, the unspoken but obvious implication there is that if you can’t pay the entire balance, the loan will go into default and eventually collections. This leads to incredibly frustrating situations, as you can imagine. Say, perhaps, you’re the borrower, and the loan is in good standing and you’re making your payments every month. You have good credit, a decent-paying job, and everything is swell. Your cosigner (possibly a friend, or a family member, or an ex-boyfriend or ex-girlfriend) declares bankruptcy and cannot get this loan discharged in the bankruptcy process. You suddenly get a call from your lender, or maybe even a collections agency, telling you to pay up because the entire loan balance is due. No, you did nothing wrong. In fact, you did everything right. Your cosigner just triggered the death and bankruptcy clause, and now you’re out of luck. Or even better. Your cosigner dies. Tragic and sad, and while you are dealing with the emotional upheaval of losing a close friend or family member, you get a call from your lender or a collections agency: pay up, the entire loan balance is due. No, you did nothing wrong, and yes, this is horrible timing. But your cosigner just triggered the death and bankruptcy clause. My favorite scenario is the one where the borrower goes off to fight in a war and gets killed in action. The cosigner is the parent or the spouse, grieving over the loss. After they bury their hero, they get a call from the lender or a collections agency. Pay up, the entire loan balance is due. No, you did nothing wrong. Yes, the borrower just died for their country. Yes, the whole reason the borrower got the loan in the first place is no longer valid, since the borrower is deceased and that degree is now useless. Nevermind that. The borrower triggered the death and bankruptcy clause. Ridiculous, no? This happens all the time. Have I mentioned lately that we need massive student loan reform in this country?